You may not be able to get your hands on the new 2015 Mustang until late next year, but that doesn’t mean you can’t test drive one right now. Virtually, that is. Today Ford announced that the sixth generation Mustang is available as a free download in the Need for Speed Rivals video game, out now. The 2015 Mustang will come with five different liveries and uses real audio from the 5.0L V8. The Shelby GT500 “hero car” from the upcoming Need for Speed movie has also been available to drive in the game since it launched in November. 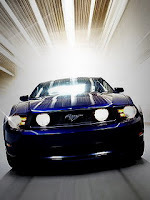 Players can also drive the 2014 Mustang GT and 2014 Shelby GT500, which is available as a police chase vehicle. You can see game footage and screen shots of the 2015 Mustang in Need for Speed Rivals below. 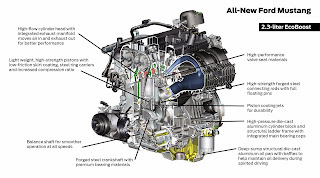 This entry was written by by Drew Phillips (Mustangs Daily) and posted here on Friday, December 13th, 2013 at 1:22 pm and is filed under 2015 ford mustang, 2015 mustang, need for speed, need for speed rivals, News, Videos. This article was not written by us, rather gathered using RSS feeds listed here. We take no credit for this article. You can leave a response, or trackback from your own site.